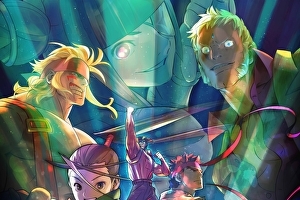 Street Fighter 5’s new story mode, due out at the end of June as part of a free update, lets you play as all six DLC characters, Capcom has said. Two of these are available now: Alex and Guile. So, Ibuki, Balrog, Urien and Juri will also be playable. The official release of Balrog, Urien and Juri won’t be until later this year, so everyone will get to play them in advance in story mode. Fallout 4’s latest Far Harbor DLC on PS4, where frame-rates typically stuck at 20fps, and even locked to 15fps at points. However, Bethesda has that a solution is readily available, ahead of the patch’s arrival. 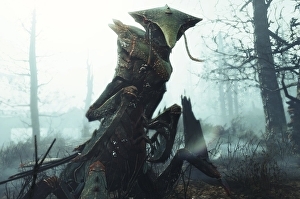 Simply deleting the expansion from your hard drive, and then downloading a newly updated build of Far harbor from the PSN servers is said to solve the problem. Our tests show this is very much the case, and the update gives PS4 a remarkable turnaround in frame-rates – though, perhaps inevitably, not without a drawback. The good news is PS4 now runs at a practically locked 30fps line, at some points doubling the frame-rate seen in Far Harbor’s 15fps stretches at launch. It represents a huge leap over what we had in its original state, and the game is vastly smoother to play with this updated build in place. However, such a radical boost does come at a price, and while the island’s distinctive volumetric fog is still in play, the effect is also now visibly dialed back on PS4. Capcom has apologised to Street Fighter 5 players for its silence around upcoming features and characters. Capcom failed to let players know that , the latest DLC character, had been delayed from May to June. But beyond that, Capcom has failed to acknowledge feedback from players about a raft of issues, including input delay and rage quitting. 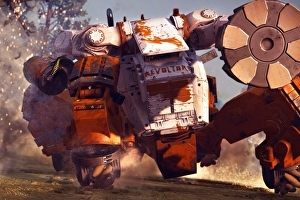 Just Cause 3’s second sizeable add-on introduces an all-new, commendably punchy mech as part of the Air, Land and Sea expansion pack, which is coming to season pass holders on June 3rd with a wider release from June 10th. Mech Land Assault follows on from Sky Fortress, March’s expansion that brought with it . The new add-on also includes a new landmass to explore with the island of Lacrima being added to the already pretty expansive playground of Just Cause 3. As for that Mech? We were treated to a brief preview of it at a recent press event, and it’s fair to say it’s pretty good at punching things. There’s a gravity gun like addition that allows you to throw objects around, an effective ground pound and the option to call in a Mech buddy to partner you through all the chaos. In short, it’s capable of squeezing even more explosions out of Just Cause 3, which is great if that’s your kind of thing. 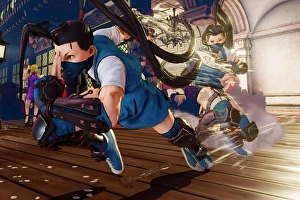 Capcom has unveiled Ibuki as Street Fighter 5’s next DLC character. The tricksy ninja works slightly differently in SF5 than previous versions of the game. Here, she can glide through the air and toss out ninja bombs, making it hard to predict where she will land. Also, now she can only stock five kunais at a time, so you have to think strategically about their use. 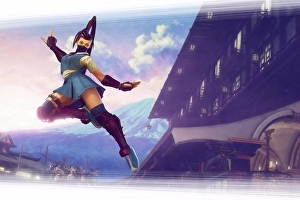 Ibuki’s V-Trigger is called Isshaku Horokudama. Here, she chucks a bomb at her opponent. Depending on which direction is held, the bomb either goes off quickly, after a slight delay or after a longer delay. It sounds like you can trigger the explosion manually, too. The most endearing thing about the knights of old is not their chivalry, their boldness or their devotion to beauty. Rather, it’s how enthusiastically they use those three qualities to justify behaving like total idiots. Take Sir Lancelot in Chrétien De Troyes’ The Knight of the Cart, for instance. In one passage, Lancelot watches from the highest window of a tower as the queen rides past, gazing “attentively and with pleasure at her.” Then, “when he could no longer see her, he wanted to throw himself from the window and shatter his body on the ground below.” He tries it too, just like that; the anguish of having a pretty lady break his line of sight is enough for this valiant knight to throw a whopping, potentially fatal tantrum. It delights me to say that the knights of Toussaint, the new region on offer in The Witcher 3: Blood and Wine, are no less sincere. Or stupid. In the second and final expansion for The Witcher 3, Geralt is whisked off to an opulent region of bold knights and boastful deeds; one that might just be the most beautiful open world ever seen in a video game. The Temeria of The Witcher 3: Wild Hunt was often a grave and unforgiving place where pockets of colour fought for their place in the world. Toussaint, meanwhile, is all bravado; a rich colour palette bursts from every corner, the armour is frilly and pompous, and the city guards issue warnings in rhyming couplets for crying out loud. The vibrant, almost garish campness of Toussaint forms a pleasing contrast with Temeria that’s only improved by the addition of the surly, unkempt Geralt of Rivia. From the moment the first dandyish knights sashay into view, it’s clear CD Projekt Red is determined to have a bit of fun in its final outing with The Witcher – indeed, Geralt is such a predictably salty counterpoint to all this pomp and bluster that Blood and Wine’s opening section feels like one long, knowing wink. 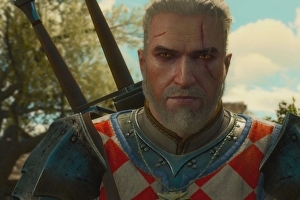 One of the first things Geralt does in this new adventure is find a handkerchief monogrammed DLC, and that’s just the beginning; he kills a giant, attends a gladiatorial battle in a tournament arena and is gifted his very own vineyard, all in little over an hour. Ian’s been playing a Megaton of Fallout these last few days. Specifically, he’s been getting stuck into Fallout 4’s newest DLC, Far Harbor – or as we’ve affectionately dubbed it in the office, Fahhaahahbrah. Not content with making on how you can get started with the DLC, or even with , he’s now back with another in-depth video in which he tracks down Far Harbor’s most interesting easter eggs. 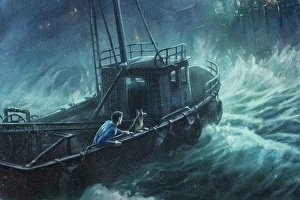 There are the usual witty pop culture references that range from the mainstream to the slightly more obscure, but there are also a couple of secrets that might prove more meaningful – not to mention profitable – to the more clued-in Fallout fans in the audience. Enjoy. 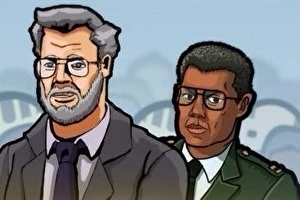 Prison Architect launches on PlayStation 4, Xbox 360 and Xbox One on 28th June. Pre-order the popular penitentiary sim before that date and you’ll get a free DLC pack, All Day and a Night, with eight additional maps, plots and prison wardens. That same offer applies to anyone with the early access Xbox One Game Preview edition of Prison Architect.